Founding Pastor Richard Greene had a repeated dream from God in which he saw a large ark located on a hillside with people coming from all over the world to see it. In these repeated dreams, Pastor Greene saw the destruction and corruption that was taking place throughout the world, just like it was in the biblical days of Noah. “For the coming of the Son of man will be just like the days of Noah. For as in those days which were before the flood they were eating and drinking, they were marrying and giving in marriage, until the day that Noah entered the Ark, and they did not understand until the flood came and took them all away; so shall the coming of the Son of man be” (Matthew 24:37-39 NAS). 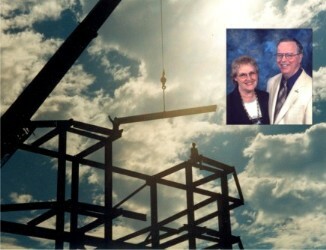 Rebuilding Noah's Ark in Frostburg, Maryland from God's Ark on Vimeo.